The snow has just been dumping in Europe over the last couple of days with, on average, between 50 and 80cm of snow falling overnight and up to 150m in some Northern Swiss resorts! The freezing level has dropped too, so the ground is white as low as 500m which is welcome change after the recent mild weather and makes it all feel a bit more like the ski season has actually started. 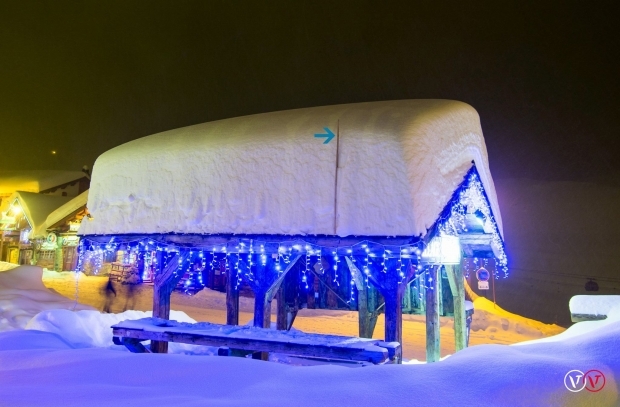 The above photo was taken in Val Thorens last night and gives a good idea of just how much fresh has come down. With all big snowfalls we need to be careful of the avalanche risk so we’ll be watching both the weather forecast and the avalanche forecasts with interest over the next week or so. The best of the weather will be found in the Eastern Alps with more snow forecast in the West, running into the weekend but mainly over the northern half of the Alps. Looking at the weather models for the next week, it’s hard to tell just yet as the weather systems are a little unstable. Some models are suggesting it’ll turn milder after a very cold start, but others are showing it staying cold for much longer. We’ll keep an eye on it and keep you posted.